New Forum about the Zippo "
Today the company Zippo, undoubtedly one of the most solemn days in the history and the double anniversary. 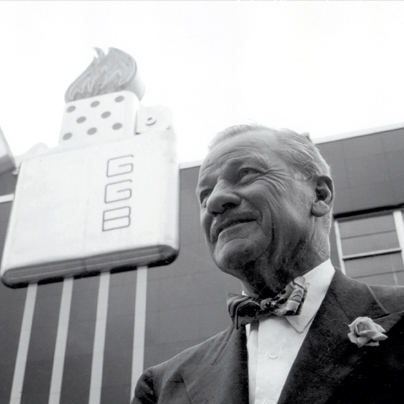 June 5 marks 117 years since the birth of the founder of the company and the man who gave the world a pocket fire - George Blaisdell. And today the company officially announces the release of the 500 millionth Zippo lighter in 1932! 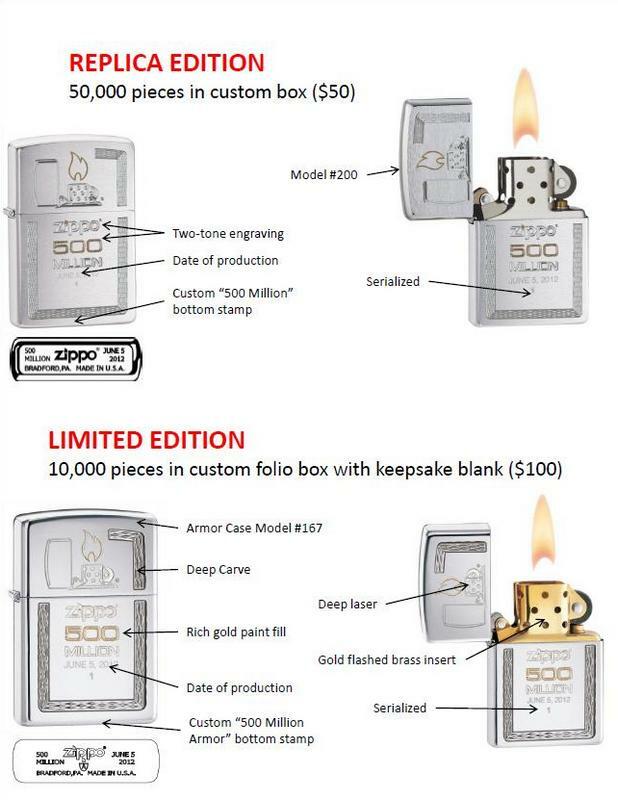 The company noted that the date of release of the most unique lighters of all time, which will not be no one :) This will be marked with a cigarette lighter engraved with the date and serial number. This lighter will have a serial number of one (1) and take the place of honor in the museum of Zippo. In addition to the lighters Number One, will be released 50,000 of collectable lighters brushed chrome finish and 10.000 - Armor Plate high polish. 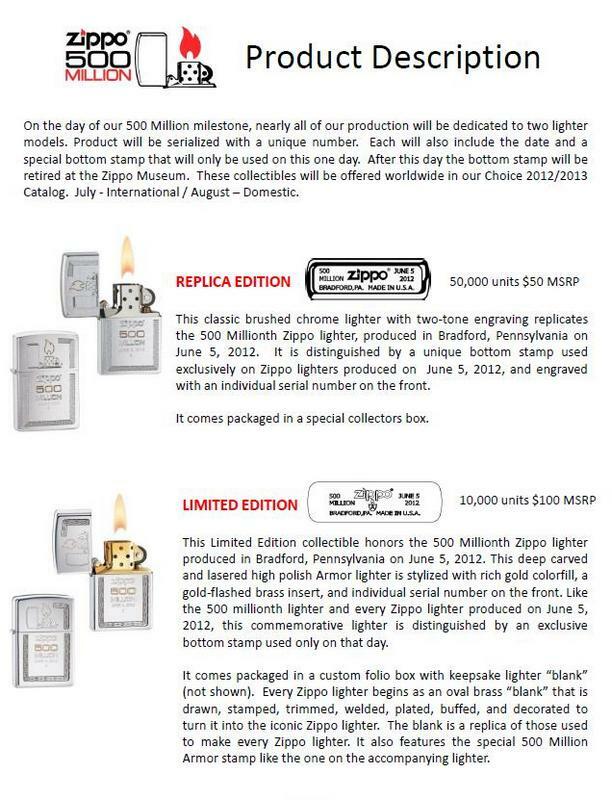 All lighters will be numbered and will have a special anniversary stamp on the bottom that says '500 million 'and dated June 5, 2012. ZippoCollector.ru portal is pleased to congratulate all Russian first (and certainly not only Russian) collectors and fans of the brand Zippo on this occasion! And of course, our most sincere congratulations to the company Zippo Manufacturing Co, which has united us all in love is easy, secure, perfect subject - lighter Zippo. And action! :) All collectors, readers and visitors welcome to leave your congratulations to the company Zippo in the comments (be sure to complete the picture, write your name and city). You can write greetings in Russian and in English. All your congratulations and best wishes will be officially handed over to the company and its representatives Zippo as a tribute on behalf of the Russian (and not only Russian) collectors and members of our portal. This entry was posted on Tuesday, June 5th, 2012 at 9:33 and is filed under News . You CAN Follow any Responses to this entry through the RSS 2.0 feed. You can skip to the end and leave a response. Pinging is currently not allowed. I sincerely congratulate the company on this important anniversary! I wish the development and prosperity, to be faithful to the traditions, the same style, and soon you 1000.000.000!! It is thanks to you every day I wake up with a smile and hope, and all of a sudden today, another zippo!!!! Congratulations ZIPPO company with the biggest birthday! All the best to your company and prosperity! Let your quality will stay the same and make us happy! I congratulate the company Zippo with this important anniversary! Thank you for your products. Continue to delight us with further excellent lighters ZIPPO! I congratulate the Zippo company with this important anniversary! Thank you for your products. Continue with making us happy more and more with your excellent ZIPPO lighters! My congratulations to comrades from Bradford! Thank you for your hard work and the joy you bring us their products! Zippo Congratulations on this achievement! I hope this does not stop the company and those who will enjoy the lighter billion will appreciate and enjoy your product as well as we do now! I warmly congratulate the Zippo on this important date! Special thanks to factory worker Zippo lighters for outstanding! You guys are doing a great job! God Bless You! I congratulate the company Zippo Manufacturing Co on this remarkable achievement! Zippo Lighter for me has always been a physical embodiment of brilliant simplicity, quality and reliability. This thing does not want to let go! Remain so faithful to their principles! Prosperity and good luck to you! 500 million is strong. Congratulations! Where can I order from the lighter Limited edishn? Sergey, while anywhere, and in August - in the States. Addicted to Zippo 20 years ago, since then do not change ..... If ever there were the perfect thing, so this is one of nih.Uspehov, prosperity, and keep uroven.Pozdravlyayu! 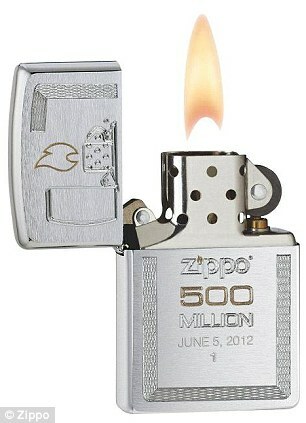 Congratulations to the whole world with the birth of the 500 millionth lighter Zippo!!! Thank you, that you are! Thanks to you, you get a lighter that we always want to keep in your hand. Sturdy, reliable, made to the conscience classic that never gets old. After the first lighters want more and more - it's like ZIppo-mania in perfect sense. After 500 million will let another 750 000 000, 1000000000! Congratulations on the anniversary of the company ZIPPO and sincerely happy that such a great company is that its products do not lose relevance, despite the enormous by the standards of any business terms given that the main products in the form of lighter against Bykov present for 15 rubles sheer looks archaic . Joy, and for myself, that I became acquainted with the products of this company and I use it so I do not remember how many years. sense of this stuff, in this age of ubiquitous ersatz it is one of the few things done on the principle of "to be, rather than to seem". Like ritual extraction and use Zippo is also something special. Very useful and like that Zippo manipulated with one hand and do not need to hold down the button to fire burned it chastovyruchaet in certain situations where the use of other types of lighters difficult. Like the wind resistance of the flame, although gas turbozazhigalki here worthy rivals and more convenient to store the fuel. And really like amazing simplicity and associated reliability and remontabelnost lighters, it is also often one of the most important factors for choosing a Zippo. Note: very collectible zagalku want in exchange for some money and really want Zippo in titanium with the emblem of the USSR, and the same with the logo of the Border Service. really do not like the price of gasoline and the Zippo is more is that in St. Petersburg it is not sold at the box office each hypermarket with flints and wicks. Andrew, it is best to buy on eBay. There she is from about $ 85 + $ 15-25 shipping to Russia. from $ 5 - is a model of brushed chrome. model armor - it is quite a big box, and something no one especially for 5 bucks in Russia it is not running away to send, simply by weight / volume. I bought both from one seller and he sent one parcel for 20 bucks or something.